This article covers teaching styles and gives some great advice for all those who instruct the martial arts. It's a great article and I'm very grateful to Lawrence for sharing it with members and visitors to this site. I realized fairly early in life that different people learn and process information in different ways. When teaching and learning styles misalign, students progress slowly, if at all. As a child, I had the opportunity to take judo instruction from a former national champion who was the highest-ranking black belt in the United States at that time. No one could argue that he did not know his art, for truly he had mastered it. Yet in seven years of practice I truly learned very little, placing no higher than second in a variety of tournament competitions and progressing only to green belt. In retrospect my natural learning preferences did not properly align with this instructor's teaching style. A traditionalist, my sensei preferred a modeling approach for instruction with virtually no explanation or discussion. While I certainly understood the omote (surface training) or gross physical movements of each technique he presented, I developed no real understanding of the ura waza (inner way) or subtle details behind what made them effective. This mismatch not only inhibited my progress but also eventually led me away from judo into the study of other martial forms. As a martial arts instructor it really does not matter how much you know if you cannot communicate it successfully to your students. Educators have a variety of teaching styles available with which they can effectively convey their knowledge. Different styles are appropriate for different applications. Exemplary instructors will match appropriate teaching styles to the situations for which those styles are best suited. The six main teaching styles are modeling, lecturing, cooperative performance, independent performance, knowledge capture, and role reversal. As I discovered in judo, traditional instruction of Asian martial arts typically relies heavily on modeling relationships. Students observe and attempt to imitate their sensei's techniques, transcending potential language barriers and other inhibiters of communication. This is a particularly powerful method of introducing students to the gross physical patterns or movements of a martial art. Once the basics are understood, however, other teaching methods will generally be required to communicate important subtlety, depth, and nuance. 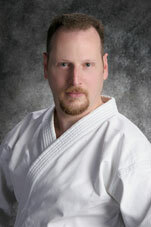 Lecturing is particularly useful when communicating conceptual frameworks such as the strategic approach of a martial art. The concept of kaisai no genri, the work of finding hidden techniques within kata, is a great example. While kata are composed of many apparent fighting techniques, or hyomengi, these movements are often stylized with their applications deliberately concealed. The theory of kaisai provides practitioners a basis from which to identify and understand hidden techniques so that they can be used in real-life self-defenses situations. Cooperative performance can be a powerful tool to help students understand how to apply martial tactics within the framework of an art's strategy. When working various kumite (sparring) drills, it is often useful to discuss what works, what does not work, and why that is the case in conjunction with application of the techniques. This can help students develop a better understanding of which approaches are most effective for someone of their unique personality, size, conditioning, skill level, and body type. Independent performance is an excellent opportunity for students to internalize and further develop previous learning. Students should practice their art form outside of class at least a little bit each day. No matter how many times a strategy, technique, or application is explained by an instructor, there is nothing like experiencing a concept for one's own self to truly understand and internalize it. Independent practice is a great vehicle for this self discovery. Many martial arts require advanced practitioners to complete a thesis project concurrent with testing for dan (black belt) rank. This is an excellent opportunity for these individuals to advance the knowledge base of their organization while clarifying and adding depth to their own understanding as well. As students progress through the lower rank, it is very useful for them to document what they have learned in journals or notebooks. The mere process of writing things down facilitates internalization and understanding of the knowledge that is written. The most common use of role reversal in martial arts is when the instructor asks individual students to lead portions of a class. By teaching others, students internalize the material and develop a deeper understanding of the techniques they instruct. They also help their instructor ensure a productive classroom environment by accommodating a variety skill levels simultaneously, making efficient use of class time, and optimizing personal attention that the instructor has with each student. In summary, martial artists have a variety of styles available with which they can effectively communicate their knowledge. Like tools in a workshop, different teaching styles are appropriate for different applications. Proficient instructors will match each approach to the situations for which it is best suited. Wisely using modeling, lecturing, cooperative performance, independent performance, knowledge capture, and role reversal will help you communication martial knowledge to your students more effectively. Tailoring teaching styles to student needs is an important aspect of creating a fun, productive, safe, and profitable atmosphere for your martial arts school.